I come from a family of travellers. My parents did not one but two Round the World trips at a time when most people who blog about their travel experiences weren’t even born. I was all of 4 years old at the time and accompanied them – even though I don’t remember much from those trips. So it comes as no surprise that they were also the first among my family and friends to head off on a campervan vacation. In their youth – mentally they are still younger than I am – they had gone around Europe in a campervan, but over the last few years, their passion and excitement has taken them to New Zealand on two occasions, exploring the scenic country while enjoying the pleasures of having a mobile home. It also doesn’t come as a surprise that now they are planning their third trip to the country in a similar fashion. So, I sat them down and asked them to chalk out the DOs and DON’Ts of a Caravan Holiday, primarily in New Zealand, but most of these points would hold true all around the world. When planning a caravan trip, the primary and most important point to keep in mind is that you should be passionate about driving and cooking. Although you can get by with eating out and not preparing your own food, it defeats the entire purpose of heading out to explore the world in a mobile home. Once you have mentally prepared yourself, and I’m guessing you have already narrowed down the country you want to do this in, start planning your route. No need to have a fixed destination, but it helps if you have a general idea of the direction and regions you want to explore and the essential spots that you must visit. Obviously, the benefit of staying in a campervan is that you can change your mind during your trip. But by planning in advance you will not only get an estimate duration for your trip, but it will also help you plan your rentals better as it is cheaper to pick-up and drop the campervan at the same location rather than picking it up at one point and leaving it another. When doing New Zealand, it is advisable that you do the North and South Islands separately, preferably over two visits of roughly 15 days each. Both the islands have their unique selling points, and if you must choose, South Island has some truly exceptional places to see. Dividing your trip into two halves gives you ample opportunity to explore the vast beauty of the country in all its glory and also keeps the trip more relaxed. Now, with a route planned, the next step is choosing your campervan. Depending on the number of people you want per van, you are likely to have a few options based on the size and amenities in the camper. In the end, it boils down to how comfortable you are. My parents during their first trip booked the smallest variation as it had been decades since my father had driven a big vehicle. During the second trip, they braved themselves with a slightly flashier and grander van which turned out to be much more comfortable. A camper trip is a great way to spend a family vacation. The one benefit it gives is that even though if you don’t want to hire a big campervan that will accommodate everyone, you can always have one of the smaller ones for a couple and the rest of the family can rent a car and drive along together. Most of the camper parks also have rooms to rent and common area kitchens and cafeterias to accommodate those travelling in cars. Insurance is of the uttermost importance and buying the full coverage, which is slightly expensive, is highly recommended. Having your campervan under comprehensive protection gives you peace of mind as all damages, including accidents, are covered under it. Moreover, since you are fully covered, the drop off procedure takes only a few minutes as the rental agency doesn’t bother checking for damages etc. Furthermore, important add-ons like road recovery service are included along with a full tank of gas and deck chairs – unnecessary if you have to pay for them. One of the first important purchases as soon as you land in the country is to buy a local SIM card and top it up. Not only is it helpful during your travel, but it turns out to be a lot cheaper when your family wants to contact you. Getting back to the campervan, once you have the “beast” in your control it’s important to keep a few things in the back of your mind; unless you are okay with cleaning the toilet, it is best to use the same for only emergencies. Most camper parks have communal bathrooms which are clean and well maintained. Nevertheless, cleaning the campervan toilet and disposing of the waste is not a hard task. Depending on your comfort level, an automatic campervan is recommended over a manual as my parents have had experience with both and the former makes driving a lot easier and relaxing. The newer models of the campervans are becoming more and more stress-free with additions like GPS and even the internet. In case you do not have a fitted GPS, it is worth renting one unless you are an avid map reader. Having said that, the directions are well marked across New Zealand, and locals are more than willing to help. Many seasoned travellers also carry televisions and other high-end fancy gadgets and electronics which might be going overboard unless you are travelling with kids and need these to keep them busy. Inside the camper, you have all the amenities like cooking utensils which are included in the booking. Although there is a safe-deposit box installed, it is still best that you carry your passport and money when locking and leaving the campervan for a considerable amount of time, even at a camper park. More importantly, under no circumstances, it is advisable that you park and leave your van by the roadside for more than a few moments. Always park in designated parking spots or at the holiday parks that are spread across the country. First timers, do not be hesitant about asking any and all questions from the renting company. My parents used Maui Rental during both their trips and were extremely satisfied with their service. Although rental executive will themselves give you a little demonstration, don’t shy away from questioning them about any aspect of the van that you do not understand. In fact, it’s better to make a list of questions you have beforehand and keep it ready when taking possession of the campervan. When deciding on where to park and stay, ample options are available with numerous campervan sites available. Do keep in mind that during high season they fill up quickly. 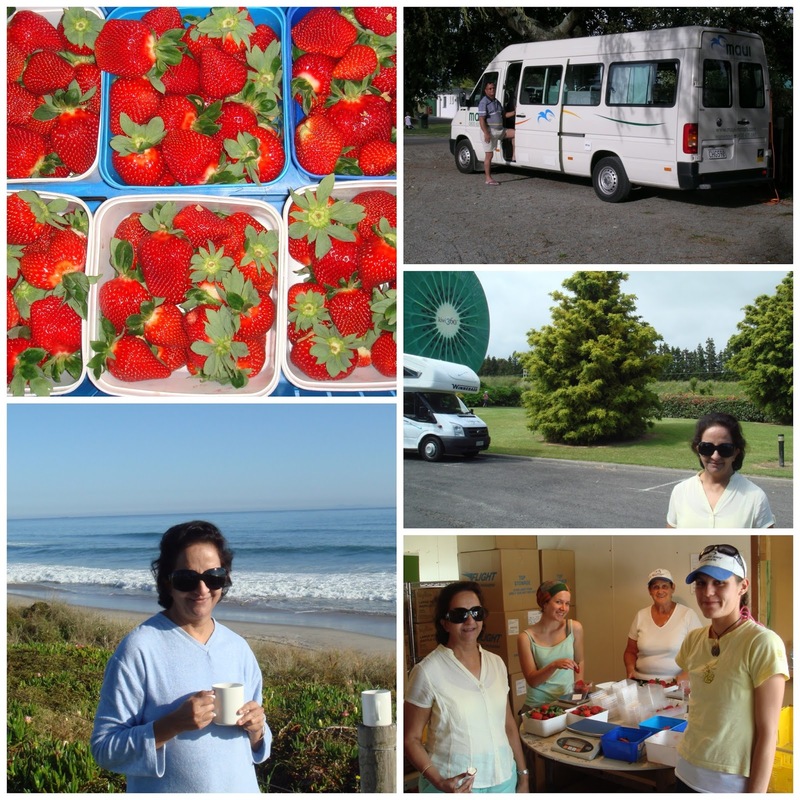 My parents used and recommended Top 10 when in New Zealand as their sites were well maintained with clean shared bathrooms and kitchens. The more popular and bigger sites also have children’s play areas and gas stations. One of the most significant benefits of the parks is their locations. They are almost always strategically situated, with some of them being right by the beach with gorgeous views and a gentle sea-breeze that is guaranteed to take away your driving aches and pains. The best option is to book your sites in advance, but if you want to play it by ear, then you can always book your next stop before leaving the previous one. Staying with one organisation has its benefits as the Top 10 Discount card gets you cheaper accommodation when you book your next spot. While driving a campervan, it’s vital to take it easy. New Zealand is a nation with abundant natural beauty, and sometimes one might get carried away. Always drive in your lane and at designated speeds. Once you have driven a little, you will know what speed is handled the best by the van. There is hardly any traffic in New Zealand, and you might end up driving alone for miles, but still, it is important to stay within the speed limits. It is common to see long lanes of cars when driving in New Zealand. Most people stay within limits and never honk. Don’t try to overtake and get impatient. If there is a long line of cars behind your campervan, don’t get anxious. There are specific demarcated overtaking lanes after every few miles so use those only, in both cases. When driving around plan your day-to-day activities so that you are on the road between 10:00 AM and 4:00 PM. On average you are likely to travel anywhere from 30 minutes to 3 hours maximum as this will give you time to explore the region and carry on to the next spot. This is also beneficial in getting a space at various parks in case you haven’t booked in advance. Avoid driving at night. New Zealand is otherwise a very safe country, and my parents met many friendly residents on both their trips. From a driving point of view, it is a straightforward country to drive in with beautiful scenic drives and roads in excellent conditions being some of the main reasons for its popularity as a driving-holiday destination. Cooking food in an integral part of enjoying any campervan vacation. There are stores that can be found along the way and in cities to fill up on your cooking needs. When not in the mood to cook, there are plenty of restaurants, and most campervan parks come with cafeterias and other dining options. As a courtesy, people even leave their unused and uncooked food in the common kitchens of the parks, so it’s always best to do the same rather than throwing away unwanted things. Experimenting with the local wine is a must with the evening meal. For vegetarians or lovers of Indian food, New Zealand has much to offer. My parents found many Indian restaurants during their trips in both the North and South Islands. Those in need for some Indian bread, can always pick up Naan or Paranthas from these restaurants and can always cook the rest themselves. There are food-courts in many places which offer a variety of excellent and cheap food. A campervan holiday is a slightly different kind of experience that involves a bit of relaxation mixed with adventure. You have certain homely comforts while enjoying the benefits of being on your own to alter your itinerary at your will. Obviously, when you are prepared to drive yourself in a foreign country, it helps to have an idea of where to go and what to do. Even though all of NZ is gorgeous, the South Island is often considered more picturesque among the two, and you can easily spend 3 Weeks in South Island on a Self Drive Holiday. New Zealand has three major airport hubs with Christchurch in the South and Auckland and Wellington in the North that serve best as starting and ending points for your trip. When travelling in this beautiful country it goes without saying that one should respect nature, which is what New Zealand is all about. The best time to plan your driving trip is in the months of March-April or November-December as it is neither too cold nor too hot and is also close enough to catch on some off-season deals. A campervan holiday might seem intimidating at first, but it is a great way to see any country and really experience it from up close at a leisurely pace with your family. I think the fact that my parents are planning their third trip says it all. I love New Zealand and it’s a great country to travel around. I did one of the hop on hop off buses as I was travelling alone and felt that a camper van on my own would be too lonely. I would love to go back though and do it that way, a much more relaxed way of seeing the country and you can be more flexible. I have been to New Zealand before but I would love to go back and take a campervan around New Zealand and taking my time. That is a really good tip on when best to go to, sometimes we forget these things and you are right you don’t want to go when it to hot or to cold. Definitely going to pin this for future trips. 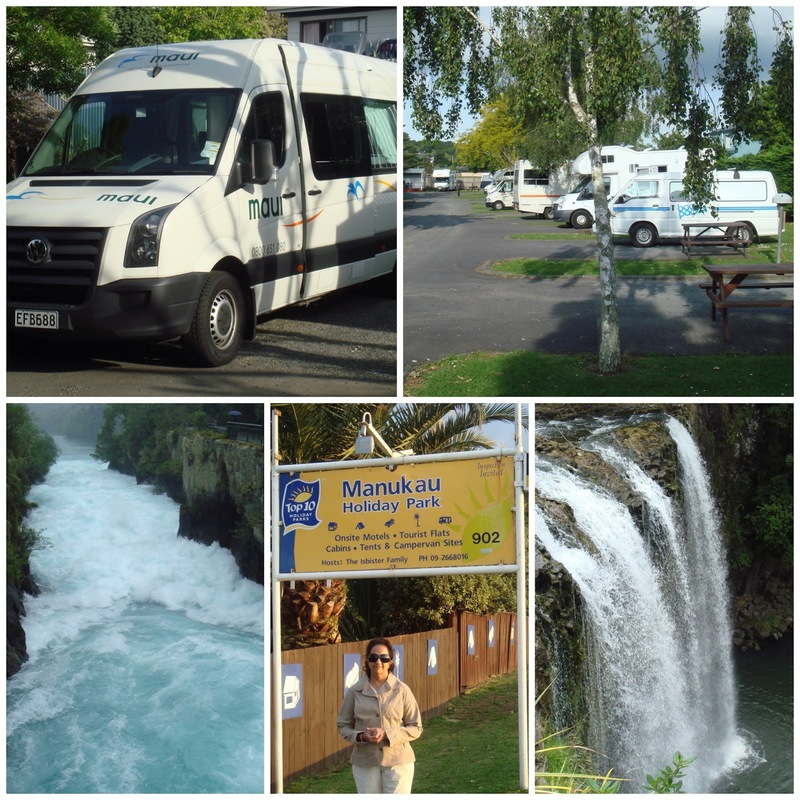 Going around NZ in a campervan sounds like a super fun trip to me – props to your parents for going on this adventure! It is probably the best way to explore this gorgeous country. I was there for a month but travelled by bus the entire time (I do not even have a driver’s license) and wished I could have had a bit more freedom. Good point about cooking and trying local wines, they sure do make this experience even better. I have a few friends who’ve done similar trips around New Zealand and their pictures convinced me that I should really do so myself! I think it’s the best of both worlds: you get total flexibility and, depending on the van, great comfort. And there’s always the option of booking a few nights at a hotel if one’s tired of being on the road. We have traveled quite a bit by RV in the states but haven’t considered doing it in another country. It gives you such a different feel for the country when you can explore it slowly. I especially enjoy grocery stores. They are always a fun experience. We usually do really well and find things we can’t get at home, but there are usually few mishaps, too, from misunderstanding labels that make for funny stories later. In Italy, we stayed in an apartment in a residential area in Bologna and visited the grocery store. We found the most wonderful fresh mushroom raviolis. Thankfully they were sooo delicious alone because what we thought was like a Ragu spaghetti sauce in a jar turned out to be just tomato sauce with NO seasonings. LOL! Fun experiences. Great list for someone renting a travel trailer/RV. Wow … your parents did two RTW trips … travelling is in your genes! I have never done a camper van trip … wanted to do one in Iceland , but winters didn’t seem to be a good idea. 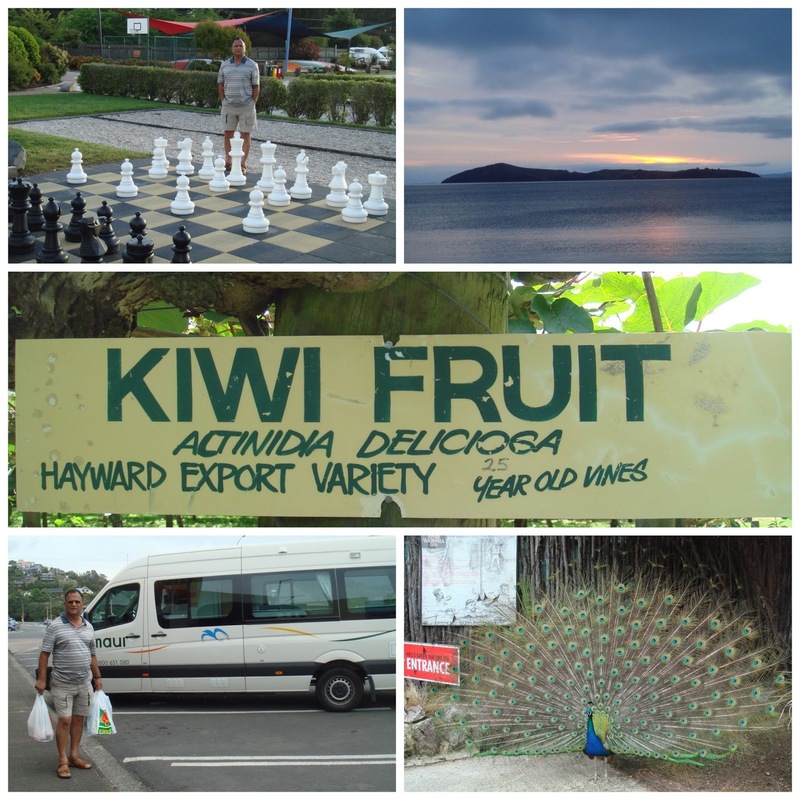 Loved your post … hopefully will do it in New Zealand! Fingers crossed!! I have done two campervan holidays. One in Northern Terriroy (Uluru, King Canyon, Kata Tjuta) and the other in Far Norrh Queensland (Cairn, The Daintree, Townsville and Magnetic Island) and I loved them both not withstanding a little mechanical issue on both. New Zealand is perfect for a camper holiday and your parents have some great tips. We were there in November (North Island) and road tripped but just on a normal car staying at hotels. I totally agree to get that SIM card sorted ASAP and make sure you have a GPS. We took ours from home as it was already loaded with NZ roads and would have been about an extra $10 a day to hire.